After an awesome day out riding, literally last spot of the evening we were riding Clint unfortunately landed wrong on an up rail to 180 which resulted in a pretty bad leg break. I can’t upload photos from the day until tomorrow so for now here is a photo from happier times for Millar at the first spot we hit out of Vegas a couple of days ago. He is having surgery tonight we hope so i will keep all posted. Note: Anyone out there that is possibly awaiting email replies please be patient. Thanks. Yesterday afternoon we got into LA from Vegas and we had a really solid ride all day today in Downtown LA. The photos below are of Zac at a spot we came across on the way to LA which was fun! Then we have Tom hitting a spot we hit up towards the end of the evening. 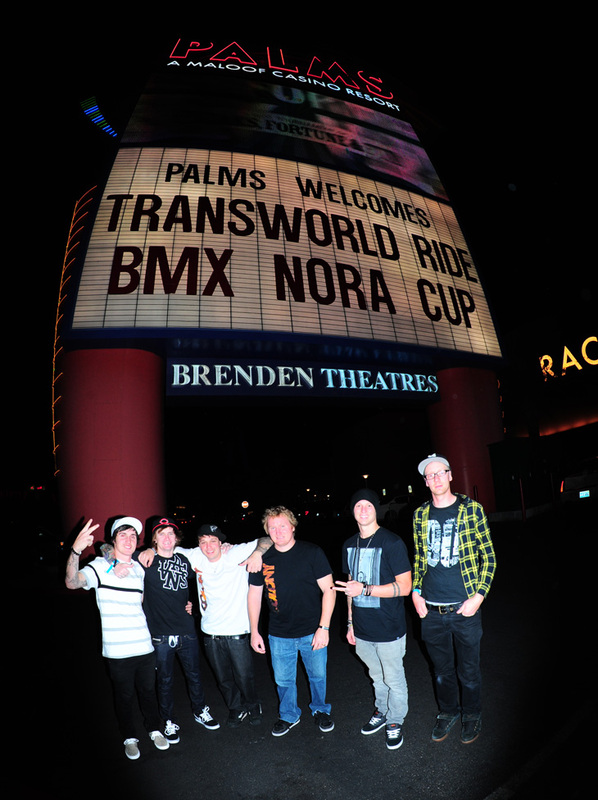 Courtesy of Ride BMX. 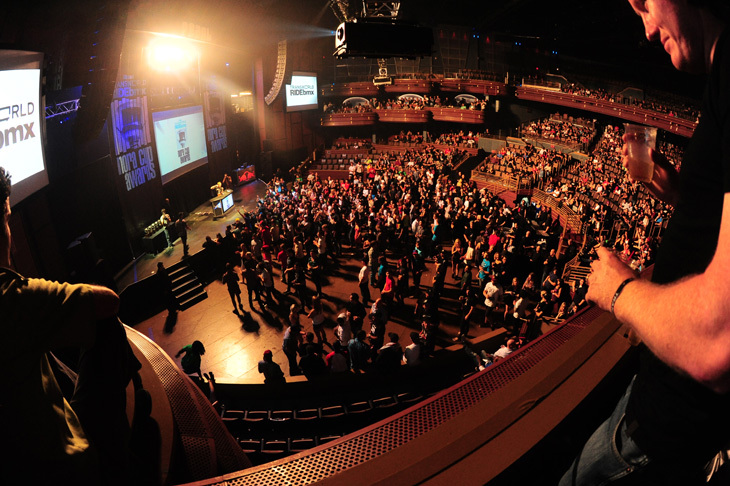 You can check out our entire 2011 lines by clicking here now. This time courtesy of Vital BMX. This time courtesy of Dig Magazine. Zac Miner got married !! 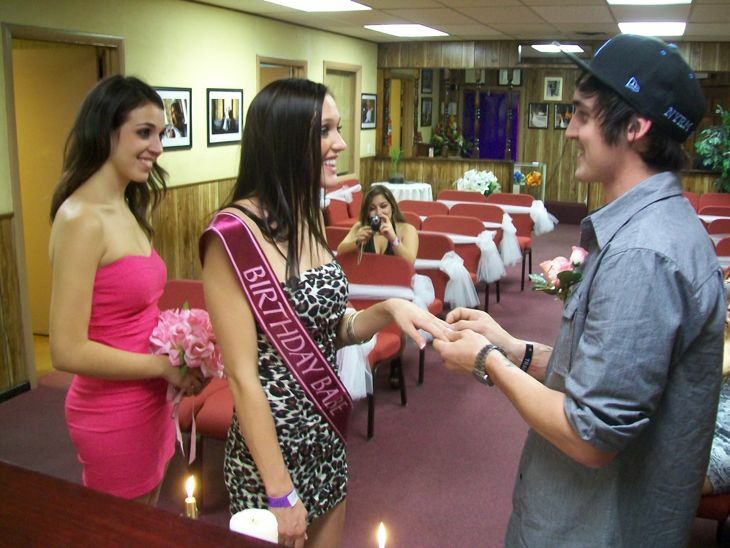 Yes you read that right… Zac Miner got married tonight here in Las Vegas. He met his bride to be last night after Nora Cup & they tied the knot tonight, crazy stuff. Congrats go out to Mr & Mrs Miner !! Wow! RideBmx really know how to put on an event. 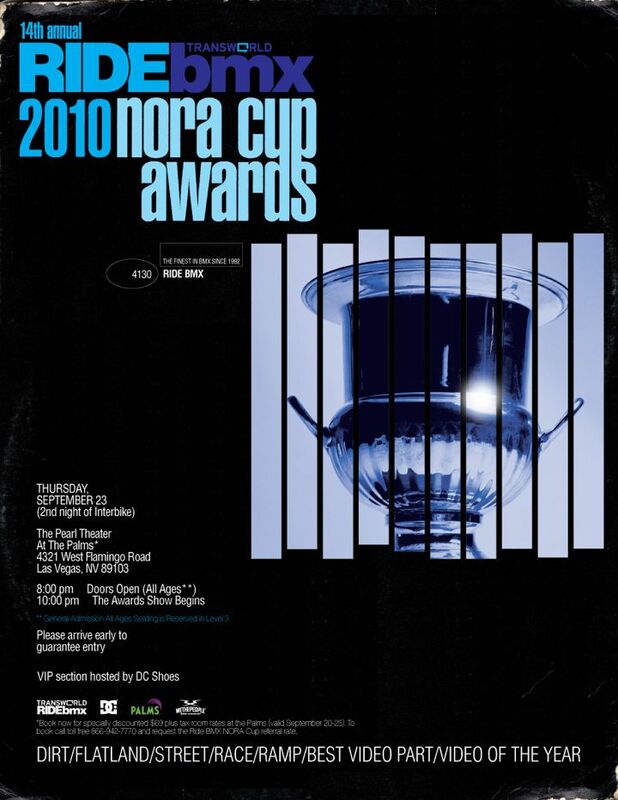 This years Nora Cup was my first and it blew me away. Congrats to all the winners and thanks to Ride for the great night! There are a boat load of photos etc.. here. 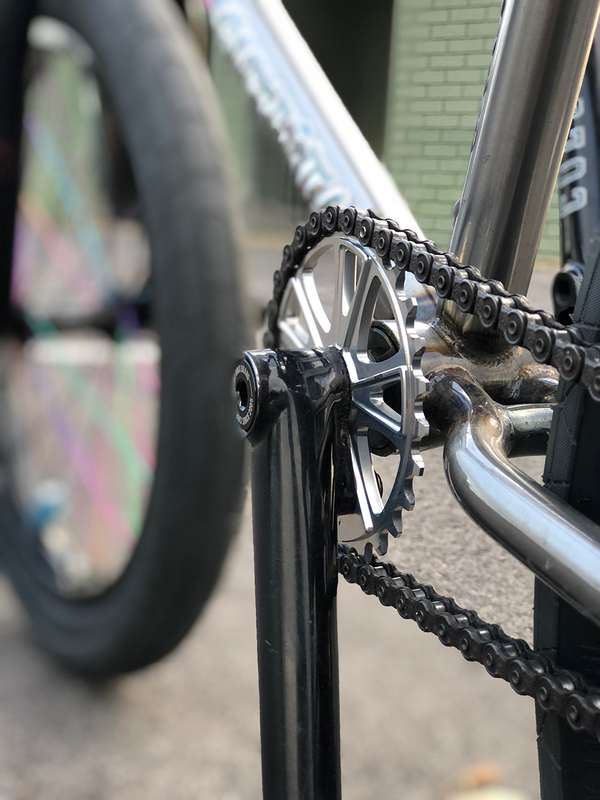 Inspired by our very popular Official stem is our Variant stem which gives you the best of both worlds. Designed to be ran as a top load for that higher feel or upside down for that front load feel. Like the Official stem it is made from 7075T6 alloy for a great strength to weight ratio. Click here to check them out now. Another day at Interbike today. Rail Jam was great and we are about to head over to Nora Cup. 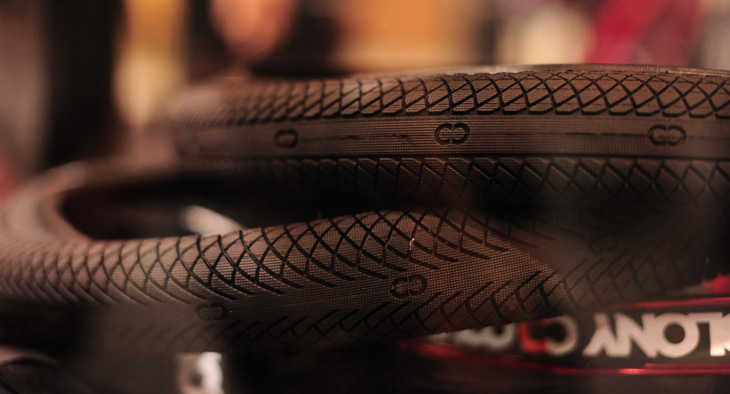 Here a few more photos from our booth… The new front and rear tyres which will be available towards the end of the year and also A bunch of products in the Red Storm. A few months ago we first released the fact we had our own line of safety gear coming out. Well, it’s all available now at a Colony dealer near you now. 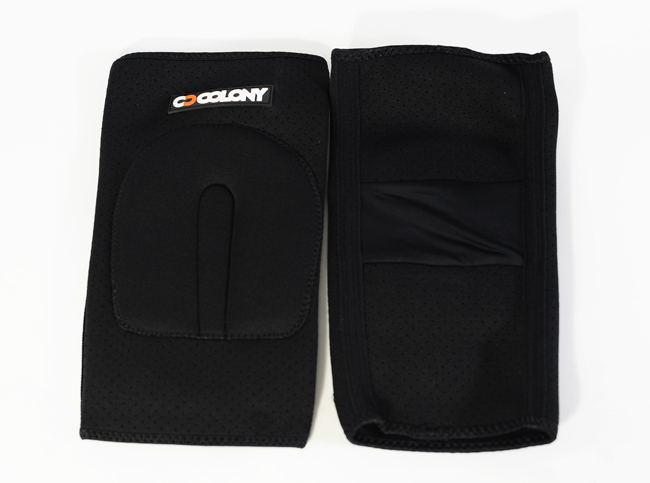 Our Impact Knee Pads are designed for maximum comfort whilst offering great protection. Check them out now along with our shin pads & ankle protectors by clicking here now. 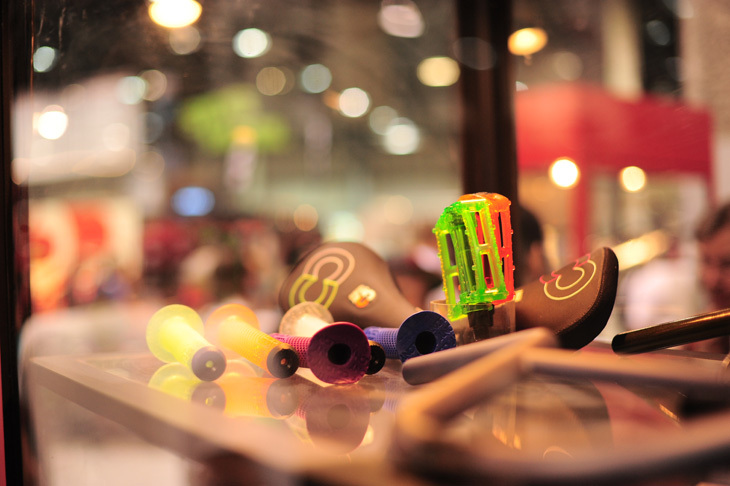 We are in Interbike right now, so I grabbed a few photos. I will post up some more tomorrow. This place is out there! Broc Raiford with some action from Salt Lake City. Thanks to Fat Tony for the video. 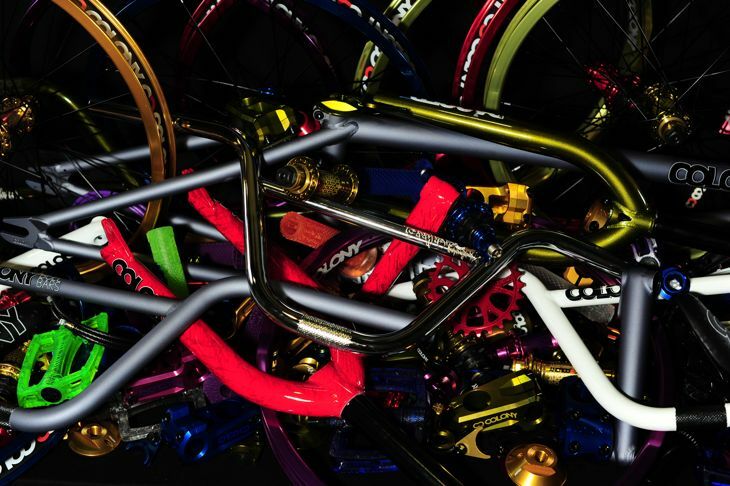 Ryan Guettler’s newest version of signature bars, the Dagger Bars are his biggest yet. Measuring in at 28″ wide and 8.1″ high they are sure to appease most riders. Click here to check them out closer. 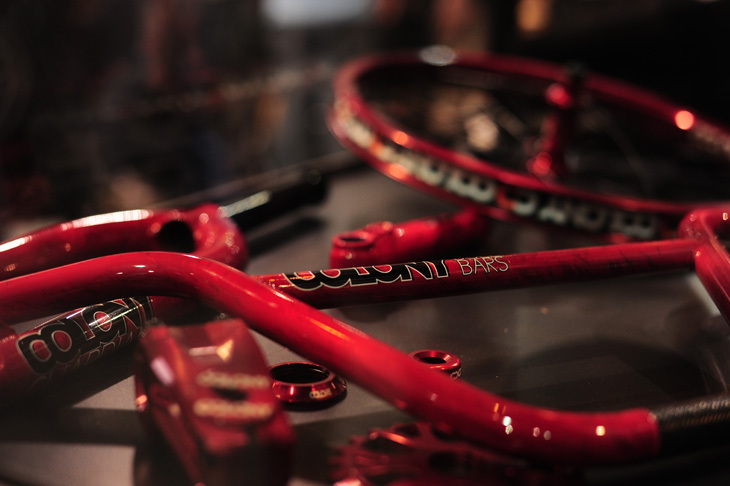 Shown below in our Red Storm colour which is available on all our frames, forks, bars & cranks for 2011. Check out below our 2011 parts catalogue show casing all our parts ranges for the new season. Out now in Australia & soon to follow (if not already) in all other countries soon. We hope you like them as we feel it’s our best offering yet. Look out for a few riding shots in there from the team. 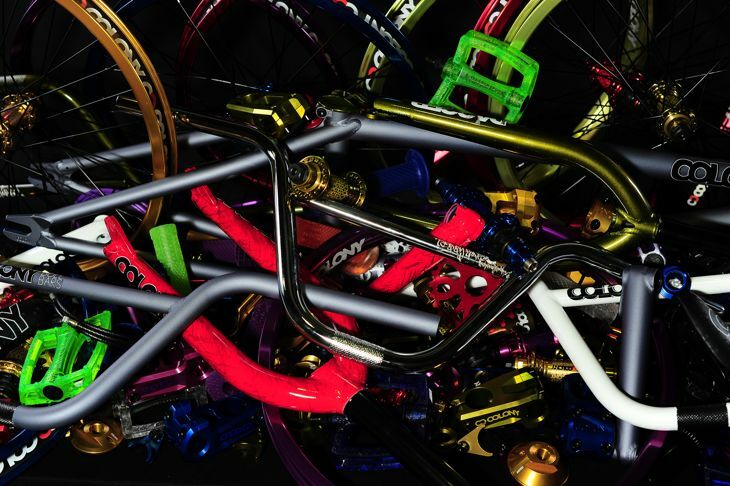 Vital BMX were kind enough to approach us about doing a product feature on our 2011 range that is hitting stores right now. Click here to check it out now. Today Mick Bayzand, Zac Miner, Cooper Brownlee, Tom Stretton & myself are off to the USA for Interbike & then a week long riding trip in & around Cali. Should be a blast. Expect reports from the road while were there. 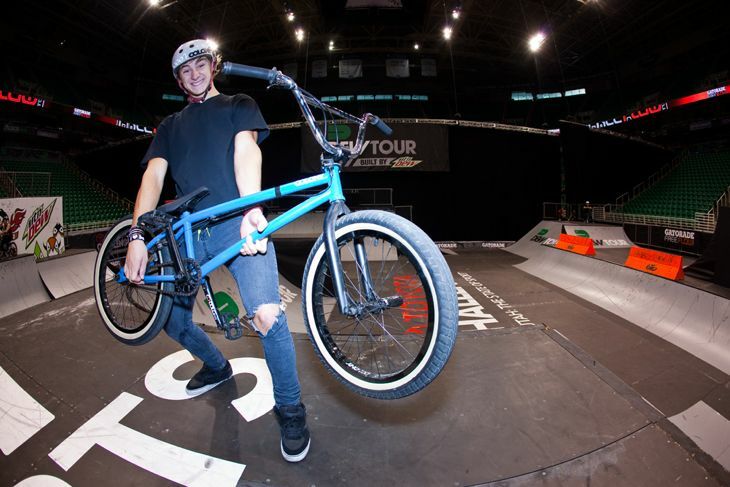 Our own Broc Raiford rode well enough to get 6th place in the Free Flow Tour in Salt Lake City over the weekend. Congrats mate !! Thanks to Fat Tony for the photos !! 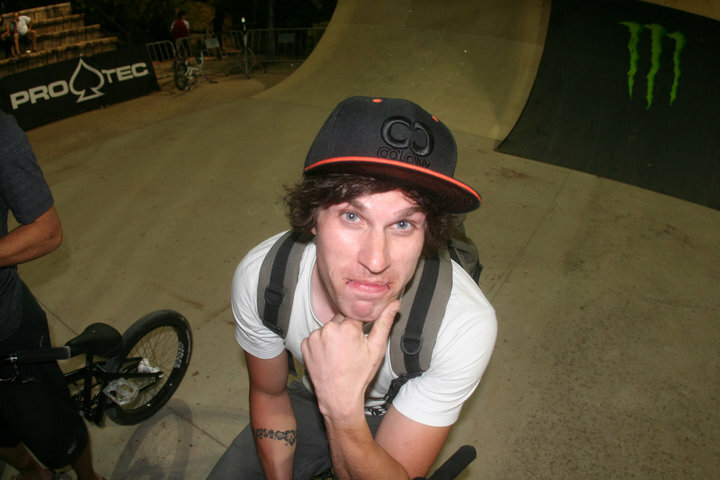 During the week I spent a couple days riding around Canberra with Zac Miner shooting photos and enjoying some sunshine! Here is a left over shot which I actually really really like from the last spot we hit on the mission. If you havn’t already seen it, make sure you check out Zacs recent web edit. I found this a really interesting video & well put together as well. Ryan talks about his injuries this year & subsequent surgeries. Well worth checking out & I wish you best recovery mate !! 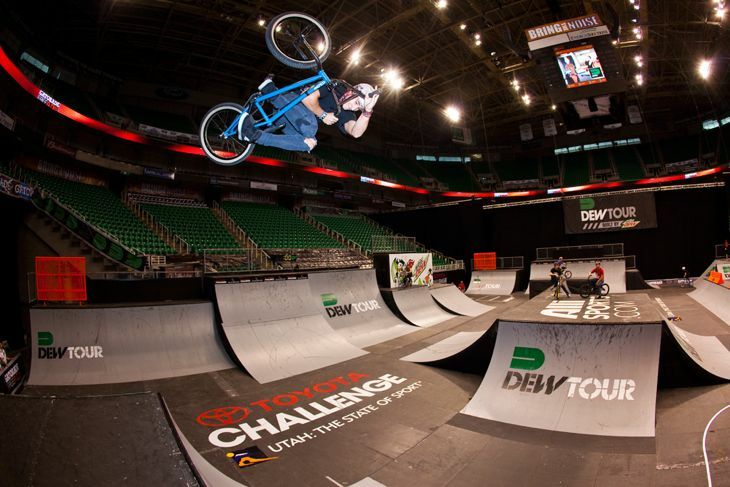 Broc Raiford scored himself an all expenses paid trip to the Salt Lake City Dew Tour from the Gatorade Free Flow Tour Video Contest. He will be there competing with other Free Flow winners this weekend, for a spot in the Dew Tour finals in Vegas later this year. Good luck Broc !! 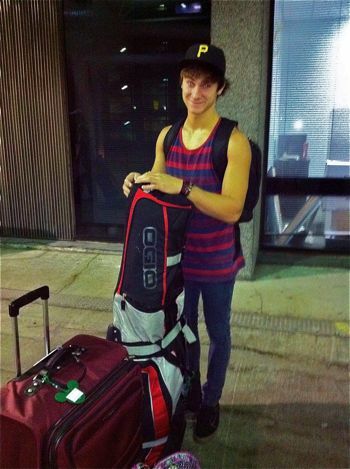 The photo below was taken via iPhone at 5am from the airport… gotta love those early morning flights. You can check out his winning video entry below. Broc will also be joining us on our Cali trip in a week or so. 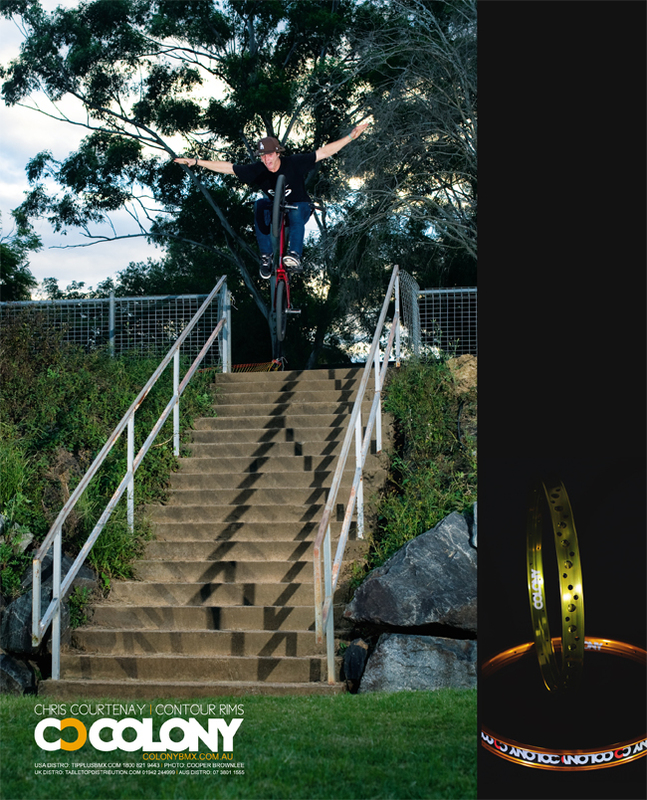 Mick Bayzand features in Strictly BMX’s latest advert in the new 2020 along with long time mate, Kym Grosser. Check out that blood from Mick, a true trooper as always. Keep an eye out for some very rare & exclusive Teddy frames over at Strictly in the weeks ahead. Only 10 frames were made. More on those soon… in the meantime Strictly have our entire 2011 range in stock now. Get it while it lasts. We got behind & supported the event series in Canada & you can check out a photo gallery of the most recent one by clicking here now. There is also a video below to check out too. Thanks to Blaise for organising the series & thanks to Jagger Co for their support for Colony in Canada as well. Canadian Concrete 2010 from canadian concrete bmx jams on Vimeo. 3 weeks ago was my first shoulder surgery and everything went very well. Yesterday I came out of the sling but on the same day went straight into sugery on my left shoulder. 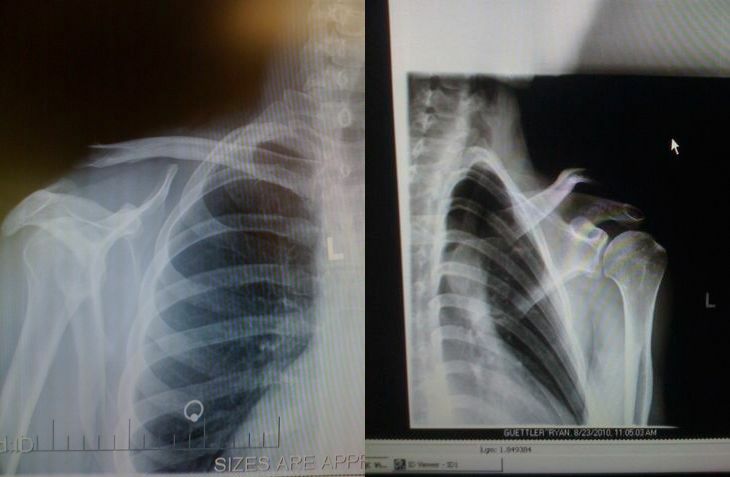 My left shoulder is the one with the 3rd degree separation so they had to put a plate in my shoulder, this made the surgery 8-1/2 hours long. Being out for that long I had a crazy dream, I was dreaming that I was riding and it felt so real that after my surgery was done I thought that I had crashed and was in the hospital for the crash. Also being out for that long when I woke up, my leg was asleep and I couldn’t move my arm. For a split second I thought I was paralysed. It’s pretty crazy going through this right now. I havent had a serious crash in 6 years or so. Always looking forward to this each year & this year will be no exception. Maybe the last one in Vegas since Interbike is set for Anaheim next year? Mick Bayzand, Zac Miner, Cooper Brownlee, Tom Stretton, Ryan Guettler & myself will all be there this year. 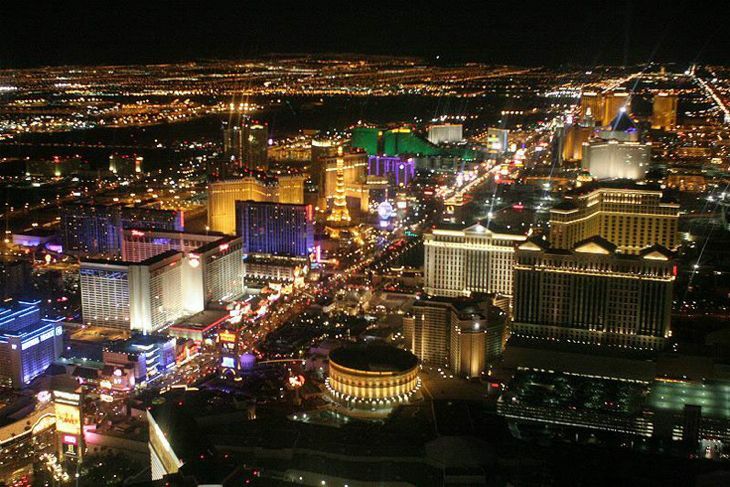 We have a team trip set for a week or so after Vegas as well. Can’t wait. If you see us there come up & say hi. Paddy Gross is our main man in Germany & for good reason… a great rider & all round good guy. Thanks for repping Colony Paddy !! Paddy is planning a long over due trip out here to Australia for our summer, will be good to have you here mate. Photo taken at the recent Rebeljam in Portugal. New from our 2011 range is the Rebirth frame. Available in 3 different sizes to suit almost every rider out there it is designed with most styles of riding in mind. Click here now to check it out & read over the finer details. Shown above in our Matt Grey. 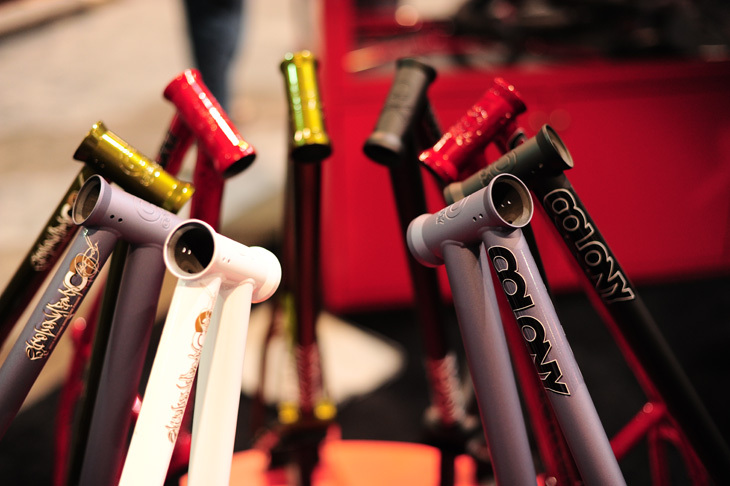 Our entire 2011 product range is now online complete with photos & all specs. Click here now to check them all out.